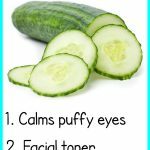 20 Beauty Benefits of Vegetable Glycerin for Beautiful Skin & Hair - beautymunsta - free natural beauty hacks and more! What are the beauty benefits of vegetable glycerin? 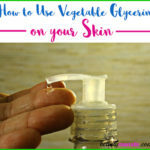 Can vegetable glycerin be used in DIY skin care products? Does vegetable glycerin have side effects? Find out below! Glycerol or Vegetable glycerin is found in almost everything these days. From food items to medication, to shampoos, cosmetics, lotions and more, you probably use glycerin on a daily basis and don’t even know it! Vegetable glycerin (where to get it) is a natural triglyceride derived from plant sources such as soy, palm and coconut oils. It is a clear odorless liquid that has a jelly-like consistency. Composed of carbon, hydrogen and oxygen, vegetable glycerin is an organic compound that is water soluble, sweet tasting and completely safe and non-toxic. As you will see, vegetable glycerin is actually very versatile, especially for natural beauty lovers who are interested in making their own DIY products! Here are 20 beauty benefits of vegetable glycerin that you can use for all your beauty needs! 1. Moisturizer – One of the best ways to use glycerin is simply as a moisturizer. Whip equal portions of glycerin and shea butter to create a silky, fluffy lotion that you can apply all over your body. Add essential oils such as frankincense, ylang ylang or lavender for added benefits! 2. Humectant – A humectants is a substance that attracts water from its surroundings, including moisture from the air. Glycerin is a powerful humectant that can help keep the skin hydrated and radiant. 3. Cleanser – Cleansing your skin with glycerin is one of the best ways to keep your skin sanitized and free of acne-causing bacteria. Make a cleansing face wash by combining glycerin with liquid castile soap and essential oils such as lavender or rosemary. 4. 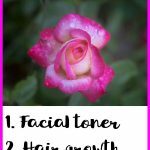 Toner – Mix ¼ cup of witch hazel, ½ cup of rose water and ¼ cup of glycerin to make a cooling, skin-balancing toner. Add essential oils such as geranium or rose to make a truly luxurious treat for your skin. 5. Oil Control – You don’t have to be Grease Face anymore, thanks to glycerin’s natural oil regulating properties on the skin! 6. Non-Comedogenic – Having a non-comedogenic factor of 0, glycerin does not clog pores, cause blackheads or acne. This makes it a great option for those suffering with acne-prone skin. 7. Smoothens Skin – When applied on the skin, glycerin has a skin-smoothening effect because it fills up the fine lines and microscopic cracks on the skin. 8. Hand Softener – If you are suffering from excessively dry hands or rough, scaly palms, glycerin can help transform your them into smooth, silky hands. 9. Clear Soaps – Have you ever seen those translucent, clear soaps with beautiful herbs such as dried rosebuds suspended in them? These are glycerin based soaps, and they can be made at home! 10. For Sensitive Skin – Glycerin is safe and non-toxic so it can be used for those with sensitive skin, for children and for babies. 11. Used in Natural Sunscreen – Glycerin has some SPF (sun protection factor) qualities and is often used to make homemade sunscreen. 12. Anti-Aging – Glycerin’s humectant and moisturizing properties make it great for aging skin and for preventing premature wrinkles. 13. Stabilizer and Preservative – In homemade beauty products such as lotions, creams and shampoo, glycerin actually acts as a stabilizer and preservative. Now you don’t have to worry so much about your lovingly-prepared skin care creations getting ruined too fast! 14. 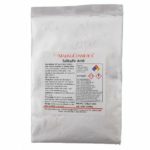 Emulsifier – If you are looking for a natural base for emulsifying oils and essential oils, glycerin is a great option. 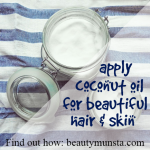 It is a natural emollient and can help bind oils to create a silky smooth cream, lotion or gel. 15. Herbal Tinctures – Glycerin has a sweet taste and is great at cutting out the sourness or bitterness of herbal tinctures without having to add extra sugar. 16. Teeth Whitening – Natural toothpastes become so much more palatable when glycerin is added. Check out this DIY Teeth Whitening Toothpaste with Glycerin! 17. Natural Shampoo – It’s easy to make a nourishing natural shampoo using glycerin as the base. Combine ½ cup of thick coconut milk with ¼ cup of glycerin. Add 12 drops of hair growth essential oils such as vetiver, rosemary or cedarwood. Apply onto your hair and massage throughout your scalp and hair strands for healthy, strong hair! 18. Hair Conditioning – Mix ¼ cup of aloe vera gel and ¼ cup vegetable glycerin to make a simple hair conditioning mask. Apply onto shampooed hair and allow to rest for 10 minutes. Then wash off with cold water for glistening locks! 19. Acne Removal – Since glycerin is non-comedogenic, it is perfect for DIY acne removal treatments. Mix ½ teaspoon of glycerin, ½ teaspoon of orange blossom water and 4 drops of tea tree oil. Apply onto your skin overnight and wash off in the morning. 20. Cooling Effect – Vegetable glycerin has a natural cooling effect that can help sooth rashes, itching, hives and more. Does Vegetable Glycerin Have Side Effects? Negative reactions to vegetable glycerin are extremely rare. Using expired glycerin may cause side effects such as redness, rashes and hives when used on skin. If any of these side effects are noted, immediately stop using the glycerin. Some people note that using raw glycerin of the skin causes dryness. 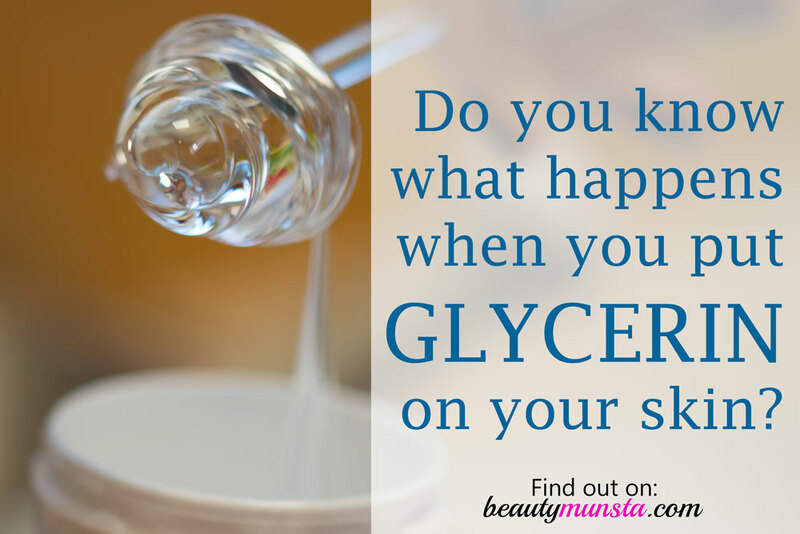 This is because glycerin is a humectant and may draw water from your skin. This problem can be completely avoided by only using diluted glycerin on the skin. Always ensure to get 100% pure high quality vegetable glycerin. Personally, the 16 fluid oz Vegetable Glycerine from Now Foods is my best so far.